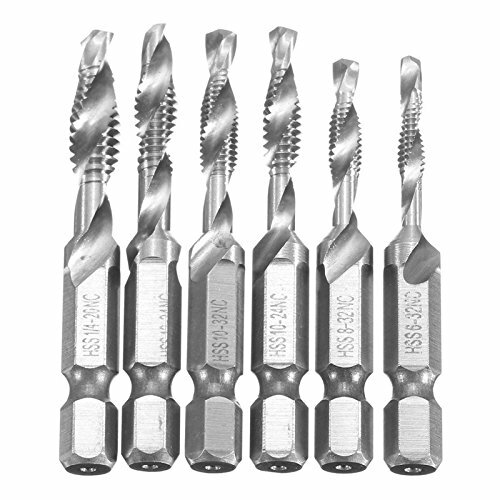 6pcs SAE Drill Tap Combination Bit Set Deburr Countersink Hex Bit HSS 1/4 Shank by Tonsiki at In The National Interest. MPN: H1-WJ-79. Hurry! Limited time offer. Offer valid only while supplies last. Description: 1.Suitable for soft metal tapping, such as aluminum plate, thickness of less than 3--4mm. 2.Use for hole punching,tapping,chamfering.